A blog for everything nuclear energy related. There was a time just over three years ago when I couldn't turn on the TV or Internet without hearing the names Helen Caldicott, Christopher Busby , Michu Kaku , Joseph Mangano , Loren Moret , Arnie Gundersen and a collection of other so called "nuclear experts" expounding on the Armageddon of Fukushima. They dazzled us with their profound knowledge of the "facts" and they baffled us with the terror of death and destruction. They were THE voice of fear. They were THE voice that most loved to hear as they echoed our inner distrust of the MACHINE , the corporate shills and the lackeys that promoted the horror of nuclear energy. They jumped on their soap boxes and fed on our fears as they raked in the adoration of their ilk and promoted their books all while smirking at their fifteen minutes of fame. Some actually accepted debate , caldicott comes to mind in her frantic hand waving attempt to challenge Monbiot while the others refused flatly. Others attempted to hold on to their fading fame by selling fake "supplements" to Japanese people under the guise of humanity all while padding their bank accounts. Others published papers on the 14,000 deaths of American children due to Fukushima(Mangano ). The rest have faded into conspiracy sites and the never ending you tube collection of junk videos. So remember this. The next time any industrial accident happens whether nuclear , coal , hydro or any type at all the NEWS will always shove fear mongers in your face. This is what sells. This is what they think you want. They may be right. Are they experts ? I doubt it. Are they biased ? Of course they are. Is their opinion fact ? Rarely. Just as Fukushima has faded in the media so have the careers of these snake charmers. When we were children we hid under our blankets after hearing the scary stories we all enjoy. We reveled in the fear. We knew in the back of our minds that it would be ok. Then we turned on the lights and conquered the demons in our minds. The lights are on now. The demon of Fukushima has been seen in the cold light of day. And those who stoked our fears have been banished to the darkness of obscurity. Never to be seen again. The sad end of human empathy. Today I read of an accident at Arkansas Nuclear One. A suspended load fell. People were hurt and a young man lost his life. This event will scar a family forever. This was a mothers son at the very least. As I write this I have no details on his life history, I don't know if he had brothers or sisters. I don't know if he had started a family of his own. I am sure in the coming days all the tragic details will flood the news outlets and we will come to know this person better. Who he was and what his passing means to those closest to him. Some will attempt to use his death to sell their agendas while others will accept that accidents happen. Whatever you decide to take away from this horrible accident will be entirely up to you. This is my take away on this. I glanced at the comments of the news articles carrying this devestating story and what I saw turned my stomach. Remember what this news article was really about. The untimely death of a fellow human being. Here is a smattering of the humanity shown. Here is the link. It is a CNN report. http://www.cnn.com/2013/03/31/us/arkansas-nuclear-site-death/index.html. People die on the job all the time. Children should be banned from sites like these. Shame on yo mama. This story is not as important as the oil leak in Mayflower. No risk to the public health and safety ? Then why the news story. Try as I might I couldn't read that in an Arkansas accent. Nuclear power is like Russian rulette ( their spelling). They're making moonshine in those big vats. Arkansas and nuclear power don't sound right together. Sounds like the Gorbechev press release after Chernobyl. Was he murdered or did kim ung kum dump a vat of radioactive se men on him. This goes on much further than I care to read. The bulk of comments are petty arguing and stupid cheap shots that are meant to be funny or quick witted but simply come off as callous and cold. This is not the first time I've seen this and sadly I doubt it will be the last. This is not a nuclear versus non nuclear moment nor a reason to attack gas lines or corporations. This is about a mans death. Is this what we have become ? A sick collection of souless monsters that revel in our own coldness and disregard for those we don't know personally ? Imagine his family reading any of this garbage. Imagine if it was you. Don't be these people. Its not hard. I feel so disgustingly filthy I think I need a shower. Protesters have been around for ages. As long as at least one person feels that change is needed and people should listen to them we will have protests. At least once a day someone on the planet is trying to be heard by the public and the media. Some protests have changed the course of history while others have had no impact at all. Some I agree with , some I don't. Some seem ridiculous. Others are deadly serious. Today I will focus on the stranger protesters and their signs. Whatever side you take you have to almost admire their ingenuity for getting press coverage. This is what makes protests great. The idea that even little ole you have a voice.Whether anyone is listening or even cares (In this case I couldn't care less, I just like the random sign) is another deeper subject for another blog post. Patriotism is something to be proud of, so is an education. Do everyone a favor, if you decide to protest in public PLEASE,PLEASE,PLEASE don't use spell check. If you do I wouldn't have anything to write about. If you decide to put your message out their try to keep it to ONE subject. Mixing Nuclear and Gas together might leave some wondering what you want. When you decide to protest it might behoove you to pick a subject that already has a following. Otherwise you are just one strange guy with a sign.The people below figured it out. RRR ARGHHH ERR UGHH Why aren't people taking us seriously mom? Nuclear energy has its own special collection of protesters.They run the gamut from just weird to highly intelligent. My favorite Nuclear protester is Helen Caldicott (picture below).You know I couldn't resist. I will let you decide where she fits in the gamut. But Nuclear isn't alone when it comes to opponents. Coal, Wind, Solar, Biomass,Cow Farts, Hamsters on wheels, Hydro and every other energy source you can think of has its detractors. I guess you cant please everybody. These next protesters have the right idea. Have some fun in life. So all I can say is fight the good fight, if you have something to say,say it loudly. Wave a sign, make a fool out of your self if you choose, chant, march and be heard. Just don't let your passion become all that you are in life. And whatever you do, whether its protesting in the streets or writing your congressperson NEVER forget this last sign. Who should you believe? The conflicts of nuclear news. With the massive amount of media coverage of Fukushima and the resulting radiation released this question begs an answer, WHO DO YOU BELIEVE ?? I guess it depends on the individual. Are you hard wired to distrust authority, do you think that the GOVERNMENT is some evil entity secretly plotting to dumb down the population with chem trails or fluoride in your drinking water? Do you believe that the sole purpose of online social media is data mining ? Are you a "glass half empty "kind of person ? If so I suggest you follow the likes of Dr Helen Caldicott , Christopher Busby, Joseph Mangano or one of my favorites, Arnie Gundersen. They will tell you TALES OF TERROR that will have you hiding under your bed waiting for the inevitable PLUME of radiation to kill you or give your children horrible cancer. Here is a sampling of their takes on Fukushima. Are you hard wired to believe that the government is just a collection of people trying to do the almost impossible task of running a country, that things aren't perfect but it could always be worse. That those are just vapor trails and not some diabolical plot. Do you think fluoride might actually prevent tooth decay ? Do you trust the internet ? Are you a "glass half full" kind of person? Is so I suggest you rely on the reports of those charged by the people to determine the actual consequences of Fukushima. The World Health Organization, UNSCEAR, The IAEA . Their task is information gathering and analysis then arriving at a conclusion. As for the rest of you that fit somewhere in the middle of these two extremes I suggest you take a long, slow look at all the information. From THE END OF CIVILIZATION reports (this is an actual statement) to the ALL'S FINE, DON'T PANIC articles. Then make an informed opinion. Fukushima has had an unbelievable impact on those directly affected by it and will continue to for the foreseeable future but the real tangible dangers lie somewhere in between the extremes. The human side of Nuclear Power Plants. When people hear the words NUCLEAR ENERGY the first thing that jumps into most of their minds is RADIATION...CHERNOBYL...FUKUSHIMA...RUN... While this is understandable given the gigantic, never ending influx of media attention and the "we almost lost ________(fill in the blanks)" horror stories that are everywhere now a days, I have seen another side. The human side. Too often nuclear energy is viewed as some humongous, gigantor soul less conglomerate run by a collection of company drones that blindly march to the dark lords (I've actually been told this) money centric beating of drums. As I said ,I've seen another side. I have asked other nuclear energy workers to give me some stories that hopefully will illustrate the HUMAN side of electricity generation. Every plant I have visited has its own unique "feel" or attraction that the workers there are proud of. These people are not the CORPORATE NUCLEAR ZOMBIES as they are way too often portrayed. They are a proud ,diverse cross section of your neighbors and friends. Here is a sampling of how they make a huge ,almost faceless nuclear site their home. During my time at Grand Gulf NPP in Mississippi I was shown the unit 2 spent fuel pool. This is in the unfinished unit and is open to the elements. On my way up the stairs I asked why is this something they were excited to show me. A pool of water? They told me to just wait and see, almost giddy with pride. that this was their claim to fame,so to speak. We come to the giant concrete pool and one guy tosses a hand full of bread pieces in. I stand there in wonderment as this HUGE fish gobbles them up. NEVER have I seen an entire eco system in a S.F. pool. The next day a family of skunks , yes,skunks is waiting for us at the back of the warehouse. Its feeding time. These people were the most polite,welcoming group I have ever had the pleasure to meet. This is what I see at nuclear plants. Ginna nuclear in New York is unique. Story has it that the original property owner gave the land to the utility of the time with one stipulation. The plant can't look like the typical nuclear plant. No cooling tower and the reactor biodome is surrounded by a facade that makes the site look like a factory and not a nuclear plant. This is my hometown's reactor and my first time there the employees were dying to show me PIGEON ALLEY. We don protective clothing (I'm thinking reactor entry ) and start up the stairs to the top. The door opens and they usher me through it , I stand there staring in disbelief. We are inside the facade , its a giant maze of stairs and landings but that isn't what I see. There are literally thousands of pigeons everywhere. That's the reason for the protective gear. Pigeon poo. My reaction obviously pleases my tour guides. They are grinning from ear to ear. There's more they tell me. We work our way down to the screen house where there is an entire wall full of black spiders with signs saying "Protected species DO NOT DISTURB ". I hate spiders so that's no problem, I give them a wide berth. This is what I see at nuclear plants. Saint lucie nuclear was amazing. The manatees love the warm water outlet and flock there posing for pictures. The people there couldn't wait to tell me about the loggerhead turtles. The plant sponsors twilight turtle walks during the mating season. http://www.floridawildlifeviewing.com/florida_sea_turtles/FloridaPowerLight.htm This is what I see. This is what others see. Gabriel Esteva enjoys the sunsets over lake Michigan at DC Cook. Joel Riddle says tons of deer at watts bar and croc's at turkey point. What these people and many others including myself see IS the human side of nuclear energy. So do the approximately 800,000 nuclear workers world wide. All colors, religions, sexual preferences ,political leanings, married, single, short, tall, fat, skinny, beautiful and pug ugly make this industry what it is . All humans doing their best to safely supply the world with electricity while minimizing the impact on their slice of the environment. Remember this the next time you are told about the evils of nuclear energy. The people who make sure your lights come on when you hit that switch are just people. Not DRONES or PSYCHOPATHS or ZOMBIES. Human beings. Same as you and I . 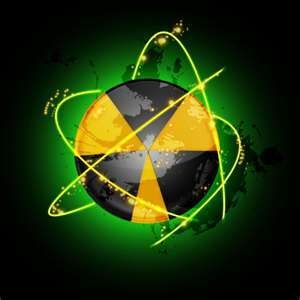 For the last few years I have debated nuclear energy in person,on line through Facebook and Twitter and here on this Blog and what I have noticed has me scratching my head in wonderment. Everyday I interact with someone that has questions or concerns regarding nuclear energy and I spend a lot of time (too much according to my wife) researching their claims and supply them with the best answers I know or can find but here is where the head scratching comes into play. I will cite a recent conversation on some of the cause of the fukushima "accident". The person said that having the diesel generator fuel tanks above ground was a failing of TEPCO and they should have known there was a risk of them being washed away. My reply doesn't matter (the point is coming) because in the strange way that conversations bounce around the next topic turned to Pilgrim NPP and the fact that they are running on backup diesel generators due to in house ?? http://enenews.com/local-tv-nuclear-plants-own-in-house-system-lost-power-due-to-blizzard-about-3-feet-of-snow-in-some-parts-boston-area-video and off site power being lost. I attempted to alleviate their concerns until this sentence was uttered. " Pilgrim has their fuel tanks buried and they are at risk of corrosion and sea water surge mixing with the fuel because of where they are located,underground." HEAD SCRATCH. That is the moment I honestly realized the futility of debating something with people that are fully entrenched with their preconceived notions and beliefs. Looking back I am amazed at the amount of arguments I have entered into willingly with no chance of success,here is a smattering of examples. Them, "Old nuclear plants are dinosaurs and should be shutdown." Me, "I agree we should build new ones with the latest safety enhancements"
Them, "New plants are untested so they shouldn't be built"
Them, "Nuclear waste is sitting all over the place"
Me, "We should bury it or recycle it"
Them, "We cant bury it because it might leak and recycling is dangerous"
Me, "Then what is your solution?" Them, "There is no solution.Nuclear should be banned." Them," Nuclear is evil because it's run for profit by faceless corporations." Me, "So is solar, hydro and wind." This contrarian ( credit Rod Adams) form of debate is useless and I have decided that when I am faced with this tactic I will take a deep breath , count to ten , then state my opinion and move on. To continue with someone that stubborn is tantamount to two school kids yelling I'M RUBBER YOU'RE GLUE. With the near relentless anti nuclear media attention and every armchair nuclear expert spouting their media based views as fact it's a huge miracle that the nuclear industry has survived this long. Especially with their lack of public affairs input. It is time for this amazing energy source to stand up to the contrarians , the doubters, the libelous news reports, the fanatical, the sea of environmentalists and their followers. etc. Damned if you do or Damned if you don't . Futility aside I will always choose "DO". Who didn't see this coming, Japan has been relying on Nuclear energy for decades and never had any intention of phasing it out. They were on course to increase the nuclear output when Fukushima happened. To let one accident sway the energy plan of an entire country makes little sense and the powers that are now in control understand that. Increase oversight,learn the lessons needed and restart the reactors. TOKYO—Japan's new trade and industry minister said the government will consider scrapping a plan to phase out nuclear power by 2040—a promise made by the previous administration—and could reopen nuclear plants that pass stringent safety tests and consider allowing 40-year-old plants to remain open. The move represents a shift from the stance taken by the ruling Liberal Democratic Party during its campaign for the lower house election, in which the pro-business LDP called for creating "a society that doesn't depend on nuclear power." But the country's recent sharp economic slowdown, and the need to dispel concerns about energy shortages before next summer's upper house election, have led the LDP to become more vocal about the need for nuclear power, despite strong public resistance following last year's nuclear accident. For the original story click the link below.